That Blizzard anime from last week was one of the coolest video game clips I have ever seen, but it turns out it wasn’t the work of the company’s in-house cinematics team. Instead, it was made by two British studios, with help from some of the best video game artists in the business. The Line (a studio based in London) and Axis Animation (in Scotland) are responsible for the trailer, which was directed by Wesley Louis. Helping out were some names you might be familiar with: Mathias Zamecki was art director and did backgrounds, while LeSean Thomas did the storyboards. Below you’ll find some art that went into the clip’s creation. 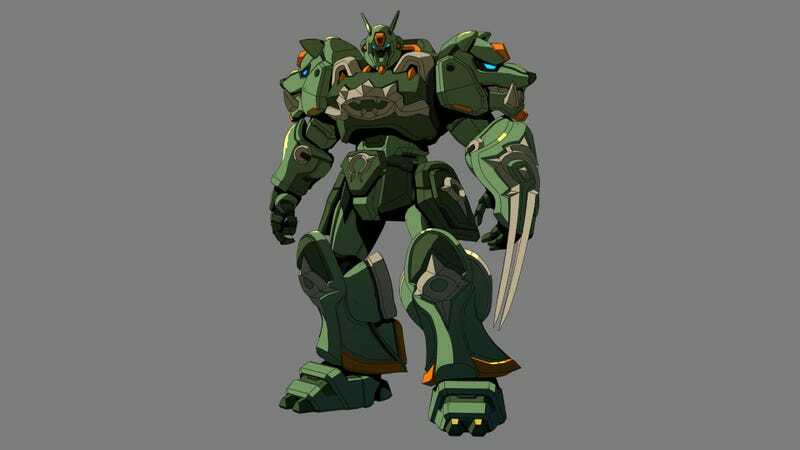 Here’s an example of the character work done for the mechs, transforming a HOTS character into something out of Gundam. And here’s a piece of background art from the short, showing a Zerg ship done again in an anime style.